Camera: Picture taken with a Canon EOS film camera and Canon EOS 80-200mm F2.8 lens, using slide film scanned with Nikon Coolscan. Although not as well-known as Botswana's Moremi Game Reserve and Chobe National Park, this remote area comprises a fascinatingly diverse wilderness of savannah, riverine forests, and rocky outcrops. 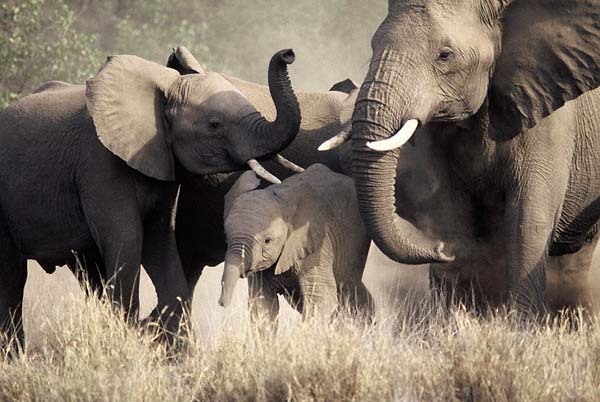 Wildlife is abundant and the area is known for its large herds of elephants.